You want to know more about the Moyen Poodle, but there aren't many places on the internet with information about them! Look no further! This article will answer your questions. Would you like to learn what makes a Poodle defined as a Moyen? Want to know what differentiates them from their neighbors, the Miniature and Standard Poodle? And a lot more! Keep reading! What is a Moyen Poodle? What is considered a Moyen Poodle? The Moyen Poodle is the 4th size of the Poodle breed and is not as small as the Miniature Poodle, and is not as tall as the Standard Poodle. The Moyen Poodle has a French origin, but they're called by the rest of Europe as Kleins. If you put a Moyen and a Standard Poodle next to each other, the only main difference you'll find is their size. Standard poodles are generally 25-30 inches tall. The Moyen, however, grows up to be about 15-20 inches at the shoulder. Highly intelligent and family friendly. Both the Standard as the Moyen Poodle have water resistant, curly coats and come in many colors such as apricot, white, black, grey, etc. The skull of the Moyen is moderately rounded and has a definite stop. They have an intelligent and alert expression and ears folded over close to the head, slightly below the level of the eye. They can come in both patterns or solid colors. Both have long muzzles, floppy, flat ears covered in wavy hair. They generally have oval black or brown eyes widely set apart. They tend to be aloof with strangers but get along fine with children and other pets. 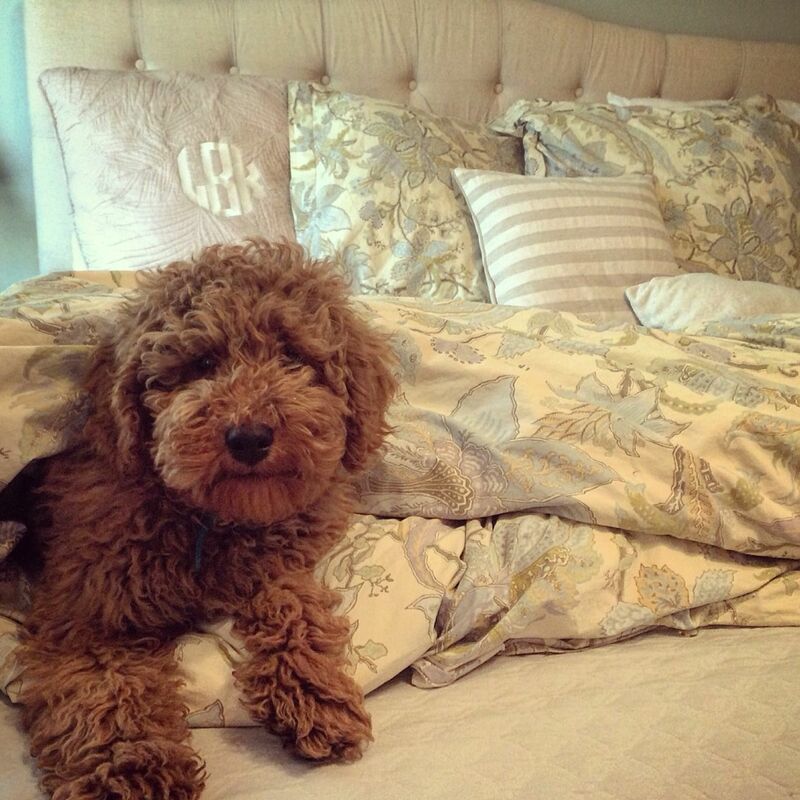 If you have a Moyen Poodle, you are in a big advantage! Its easy temperament makes it the perfect pet for adoption, but this intelligence sometimes translates into stubbornness. That's why teaching it good manners through training is so important. Like any other Poodle, the Moyen Poodle will need an outlet to burn off its energy despite its high class mystique. You may take it for long walks, hiking and play frisbee. It is really good with children and other dogs. Its reserved behavior around strangers can be tackled with early socialization. Moyen Poodles love water and it's in their name. This breed loves to please and to show owners they know what is being asked of them. Their favorite activities are retrieving, swimming, agility training, and learning fun tricks. Basically, the only difference between the Moyen and the Miniature and Standard Poodle is their size, which makes them look similar in appearance. The Moyen Poodle usually has its skin pigmented with the same color of its coat. It has a distinguished, rectilinear head in proportion to the body and may have a corded or curly hair coat , the curly being a harsh natural texture. Poodles are easy to train due to their high intelligence. When training your Moyen Poodle, stay away from harsh methods that use prong collars, choke chains and the use of force. This will only traumatize your furry friend and will destroy the relationship you've worked so hard to build. Instead, use positive reinforcement methods such as clicker training or any reward-based training methods that have been scientifically proven to work. Training your pooch will prevent behavioral issues and you enable you to have pleasurable moments with your dog. One of the main challenges Poodle owners face is getting their dogs to walk nicely on leash. This is hard for Poodles, but not impossible. You can even train it not to pull on the leash without treats and without going for harsh methods. You may use a leather leash that doesn't harm its coat or skin. Every time your dog pulls, stop abruptly and be a tree. When it pulls harder, wait patiently until the leash gets loose again, take a couple of steps back and move forward. Do this every time it tenses the leash. Soon, it will learn that to keep walking it'll have to keep the leash loose. The Moyen Poodle doesn't have a particular health problem specific only to his breed. However it is good to aware of common health concerns of the Poodle in general. If you are a getting a Moyen puppy, make sure to this from a reputable breeder who has all the health records of their parents. They are also known to suffer from many allergies, but this is probably due to all the chemicals people use to hold their color and the frequent bath they take. Clip your Poodle every 5 to 8 weeks and bathe them regularly. Make sure it is comfortable with having the different parts of its body being handled. Also, check the ears for mites and wax. Make sure to pull out the hair inside the ear canals. The coat needs to be clipped just like doing a Pomeranian haircut because they typically don't shed. On the contrary, you can't shave a Husky. The Continental clip is used for shows and it's where the rear half of the body is shaved, pom-poms are left on the tails and bracelets around the ankles. The American Kennel Club allow puppies under a year old to present with the show-style Puppy clip with a pom-pom at the end of the tail being one of the requirements. There are other less popular poodle clips such as the Modified Continental clip, Kennel clip, Town or Country clip and the Miami of Bikini clip. 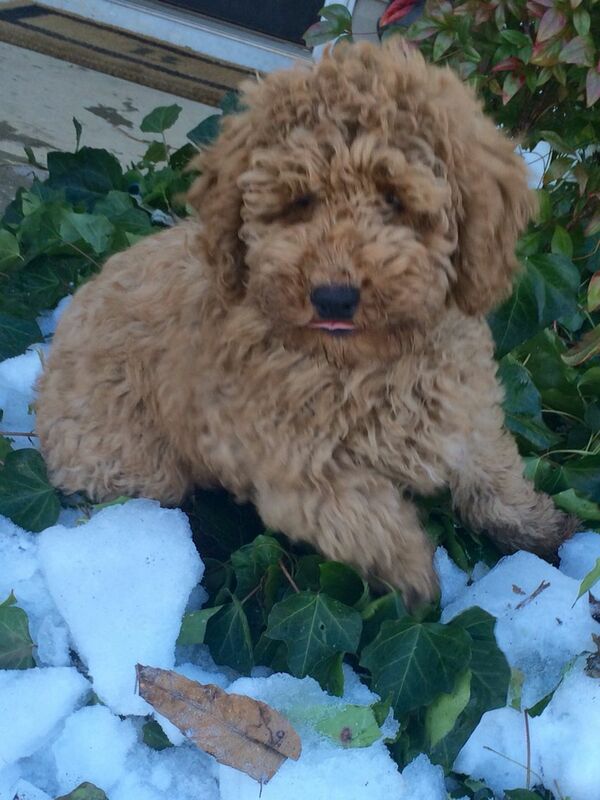 Moyen Poodles shed little to no hair and are ideal for people with allergy issues. Moyen means medium and these Poodles are in between the Miniature and Standard Poodle in size. 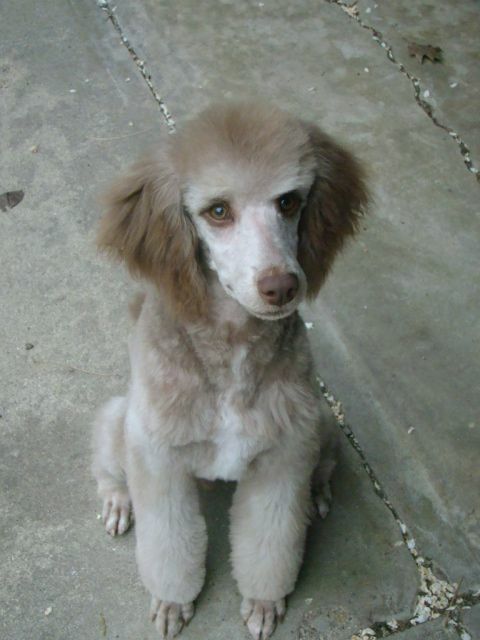 They are great friends with children and other pets, and are the perfect choice for families looking to adopt a dog. There are many activities you can do with your Moyen and many clip styles. Their high intelligence makes them one of the brightest and most obedient dogs. 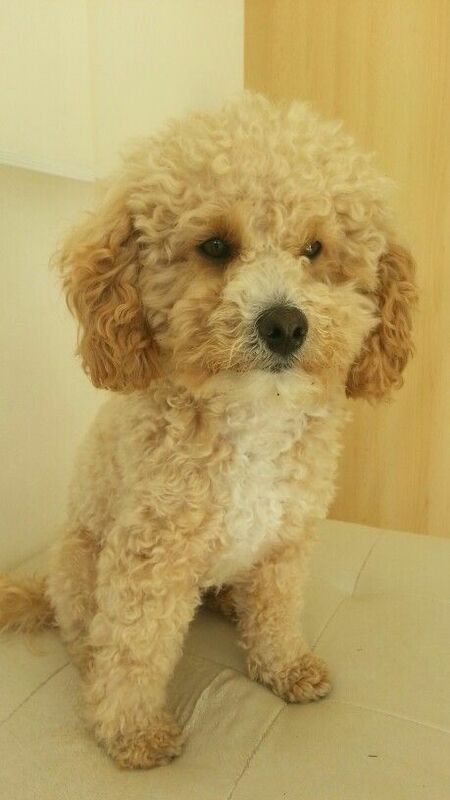 What do you like the most about the Moyen Poodle? Their cute look, their playfulness or friendliness? Share this post with your friends on social media to help spread information about the Moyen/ Klein Poodle.